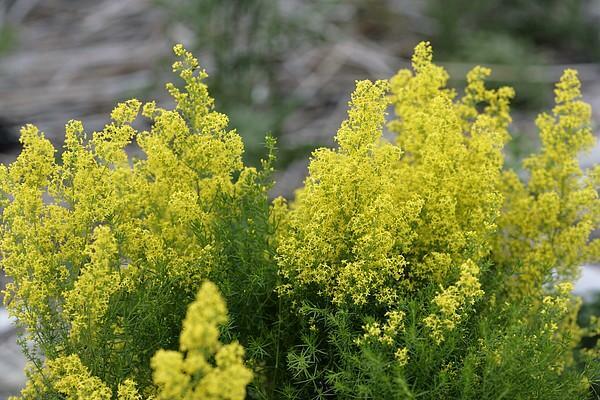 Lady’s bedstraw is the only yellow-flowered bedstraw (Galium) in Estonia. Its leaves are set in whorls on the stalk, with six or more in the group. Hybrids between lady’s bedstraw and northern bedstraw have butter-yellow flowers. In Estonia there are 14 bedstraw species. Habitats are dry and sunny meadows but also seaside pebble shores and sand. A valuable honey and fodder plant, medical herb, truly with many valuable properties. Smells wonderful, maybe somewhat too pungently for some. It keeps its golden yellow colour on drying, for at least half a year.